The Crossing for a Cure is a long-distance endurance paddle fundraiser for cystic fibrosis. Travis Suit started Crossing for a Cure after his daughter Piper was diagnosed with cystic fibrosis. Piper was just four years old at the time. After extensive research, Suit learned of incredible health benefits the ocean has on those living with the disease. 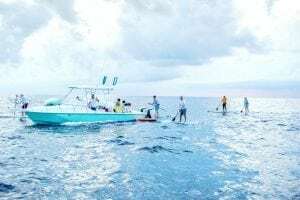 This year’s event will begin Father’s Day weekend in Bimini and end in Lake Worth, Florida. 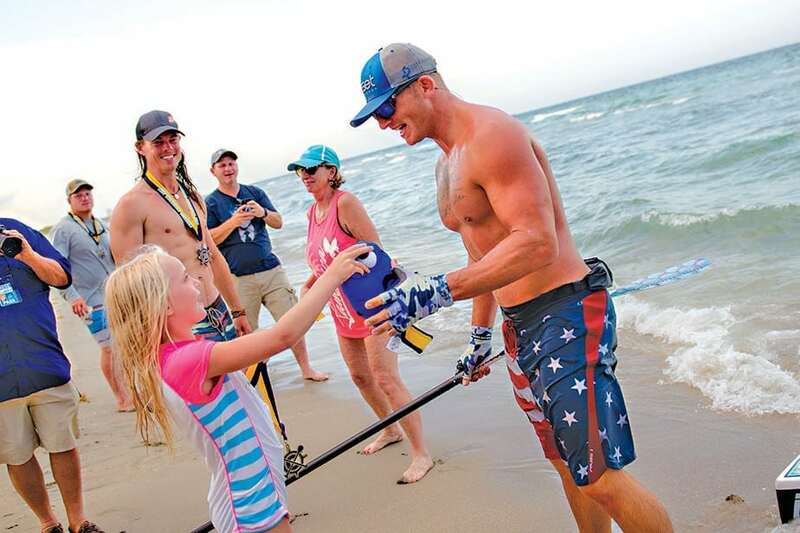 After learning to paddle and surf as a natural and fun way of healing for Piper, Suit’s mission expanded in 2013 when he completed his first endurance paddle as a personal challenge to raise awareness, which has now evolved into a movement that encompasses the entire cystic fibrosis community. “From paddlers to volunteers to boat captains, this is a monumental effort and it’s amazing to see so many people come together to challenge themselves and each other,” said Suit. The 2018 event will be a challenge for the books, featuring two paddlers with cystic fibrosis. This year’s Crossing For A Cure is made possible by generous title sponsors the Palm Beach Sports Club and Legacy Marine, as well as supporting sponsors Power Design, Tealixir Kombucha, Jupiter Pointe Club & Marina, Endless Summer Rum, Tito’s Handmade Vodka, Tropic Sport, Med Lab, Ed Morse Automotive Group, C3 Gardens and Life Hearing & Tinnitus Health Centers. Crossing for a Cure 2018 is still looking for captains and volunteers. If you or anyone you know is interested in volunteering as a captain, contact Sean at Sean.d@pipersangels.org. Captains should have experience crossing the gulf stream. Registration and additional information are available online at crossingforacure.com. Paddlers must register to participate by May 1 and achieve a minimum fundraising goal of $1,000 each.